nine inch nails is an American industrial rock project, founded in 1988. 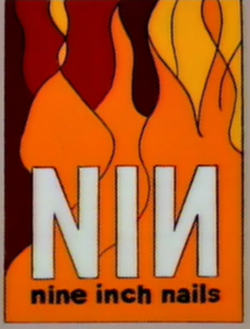 When Homer visited Suicide Notes they had a poster for nine inch nails on the walls. Homer said to the cashier that nine inch nails was not a band name.